Saveology has an awesome deal today! 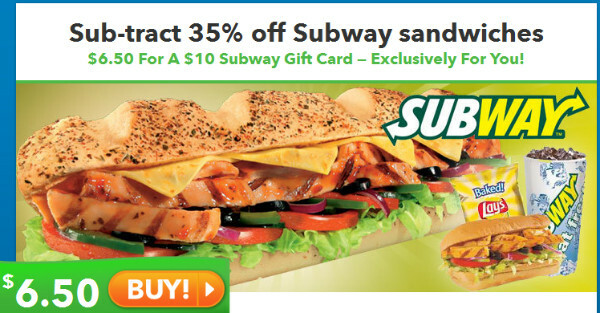 First time buyers can grab a $10 Subway Gift Card for just $6.50! If you're new to Saveology, you can sign up here! This deal is still available through the end of today (Thursday)! Yay!